Clair has Yanyuwa and Gungallida clan connections in the Gulf country of northern Australian, is skilled in Indigenous education and workforce development and has contributed extensively to improving policy and practice in these domains nationally. She was Head of Riawunna Centre for Indigenous Education at UTAS 2006 to 2013 and has more than 30 years experience in Aboriginal education including the development of teaching and learning resources, programs and policies to enhance student learning, to improve understanding of Australia's Indigenous peoples and build better futures. Her research interests are in improving education pathways for Aboriginal and Torres Strait Islander students, and the development of culturally inclusive curriculum to enhance understanding and improve delivery of health and education services to Indigenous Australians. 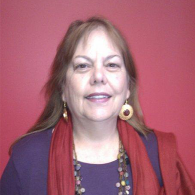 Clair has extensive experience in national research projects, including Career Guidance for Indigenous Students, On-line Learning and Employment Conditions of Aboriginal Education Workers in schools and review of employment conditions and career opportunities for Indigenous workers in the VET and university sectors. Her recent research projects have addressed the need for Aboriginal Health Worker training in Tasmania and pathways to teaching qualifications for Aboriginal Education Workers. The Aboriginal Higher Education Advisor provides institutional leadership in the development of curriculum encompassing Aboriginal issues across the whole of the University, including training for staff and students in cultural awareness and related issues. The position has a key strategic role in effective development and delivery of whole-of-university strategy and associated initiatives in curriculum development related to Aboriginal knowledges and values, within the broader context of the Learning and Teaching strategic plan and Social Inclusion plan. The Aboriginal Higher Education Advisor also engages with the Aboriginal communities in Tasmania at a senior level to foster community input into, the University. The Aboriginal Higher Education Advisor provides strategic advice on Aboriginal issues to the Deputy Vice-Chancellor (Students and Education) and is a member of the Division of Students and Education Management Team. The Advisor also contributes at the national level to Aboriginal issues through research, teaching, and/or scholarship. Clair has also been appointed as Aboriginal and Torres Strait Islander Ethics Advisor to promote responsible research practices and compliance with national guidelines and ensure the quality and integrity of Indigenous related research at the University. Information about submitting a human ethics research application is available on the Research Division Website. Fredericks, B., Clapham, K., Bainbridge, R., Collard, C., Adams, M., Bessarab, D., Andersen, C., Duthie, D., Ball, R., Thompson (Longbottom), M. and Daniels, C. 2014. 'Ngulluck Katitj Wah Koorl Koorliny/ Us mob going along learning to research together': Drawing on action research to develop a literature review on Indigenous gendered health and wellbeing ALARj-Action Learning Action Research Journal, 20(2): 89-113. Andersen, C. Teacher Education, Aboriginal Studies and the New National Curriculum. Andersen, C. Developing cultural competence as a graduate attribute at the University of Tasmania, From Knowledge to Wisdom - Journal of Literature and Art Studies, USA, Vol. 2, No.2, Feb. 2012. Andersen, C. Chapter 6: Impediments to educational success for Indigenous students, Two Way Teaching And Learning, ACER Press, 2011. Andersen, C. Chapter 4: Indigenous Perspectives and Cultural Identity, Diversity and Inclusion in Australian School, Oxford 2010. Andersen, C. Indigenous Footprints on Health Curriculum, Australian Journal of Indigenous Education, 2009. Andersen, C. Indigenous Higher Education: The Role of Universities in Releasing Potential, Australian Journal of Indigenous Education, 2008. Adams, M., Andersen, C., Bainbridge, R., Ball, R. Bessarab, D., Clapham, K. Collard, L., Dudgeon, P., Duthie, D., Fredericks, B., Longbottom, M. (alphabetical order). The development a health research capacity building program for Indigenous Australian researchers: The NIRAKN Health Node. The International Network in Indigenous Health Knowledge and Development (INIHKD), 5-10 October 2014. Winnipeg, Manitoba, Canada. Andersen, C. 2014. Indigenising Universities: Looking at the UTAS Model. AIATSIS 2014 Conference, Breaking Barriers in Indigenous Research & Thinking: 50 years on, 27 March 2014. Canberra, Australia. Andersen, C. 2014. Against the Odds: Finding Place and Space, ANZCIES Conference, 26 November 2014. Brisbane, Australia. Quantitative and qualitative data will be gathered from samples of University of Tasmania non-Aboriginal pre-service teachers regarding their knowledge of and personal attitudes to teaching Tasmanian Aboriginal histories and cultures. Developing the Aboriginal Tasmania map as part of he 2015 Community Engagement project has enable a large audience (within Tasmania, nationally and internationally) to engage with Tasmania's Aboriginal heritage. The aim of htis propsal is to expand this very successful resource to include Aboriginalsite interpretations of three UTAS campusies. This project will investigate how Indigenous children grow up strong in education. The project will develop astatistically robust picture of how Aboriginal and Torres Strait Islander children attain education achievementdespite adverse life circumstances using data from the Longitudinal Study of Indigenous Children. The projectuses an Indigenous research methodology to frame its mapping of the critical intersections of the resilience, lifeevents, social variables and protective factors arising for children and their families in different locations andsocio-economic circumstances that support the growing up of children strong in education. The project alsosupports Indigenous quantitative analysis capacity building. Project aims: - Interview AEW - Identify factors to persuade, support and encourage engagement of AEWs in Tasmania to undertake a degree in Education.A statewide intensive qualitative study, producing rich and deep data. Will produce a report of findings and recommendations for strategies to increase AEWs enrolled in teaching degrees, and on retention of school students, and atitudes towards further education.